“I know the Jesuits never forget nor forsake. But man must not care how and where he dies, provided he dies at the post of honor and duty.” ~Abraham Lincoln (“50 Years in the 'church' of Rome” by Charles Chiniquy pg. 472). 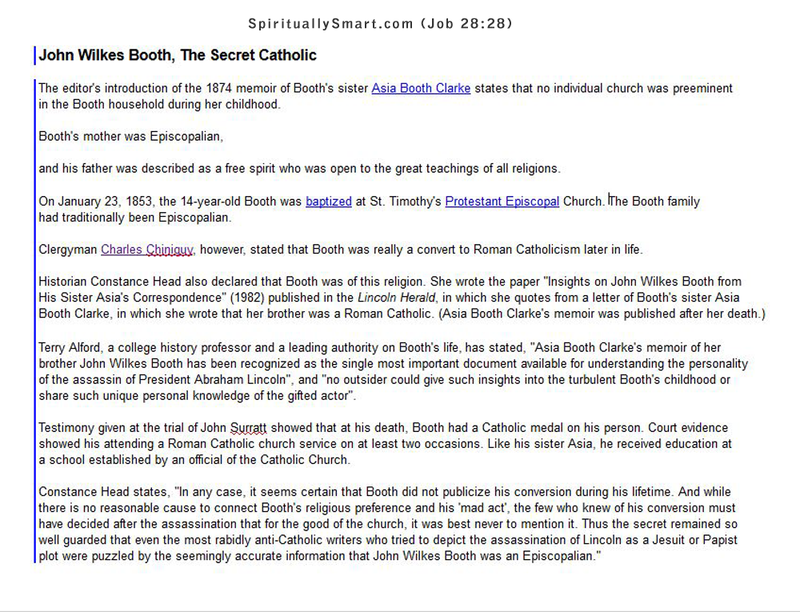 Breaking News: 2/22/19 The Catholic Church Played Major Role in Slavery Wasn't it Abraham Lincoln who freed the slaves? 🤔 I would imagine that may have incurred the hatred of the CC. Motive? Yes. Abraham Lincoln, the 16th President of the United States, was assassinated by well-known stage actor John Wilkes Booth on April 14, 1865, while attending the play Our American Cousin at Ford's Theatre in Washington, D.C.
3. Rome's Responsibility for the Assassination of Abraham Lincoln -- This tract was authored and first published in 1897 by Thomas M. Harris. Mary Surratt was being pastored by the President of Jesuit-run Gonzaga College High School in Washington DC, "Rev" Benardin F Wiget SJ. Mary Surratt. Although her father was a non-denominational Protestant and her mother Episcopalian, Surratt was enrolled in a private Roman Catholic girls' boarding school, the Academy for Young Ladies in Alexandria, Virginia, on November 25, 1835. Mary's maternal aunt, Sarah Latham Webster, was a Catholic, which may have influenced where she was sent to school. Within two years, Mary converted to Roman Catholicism and adopted the baptismal name of Maria Eugenia. She stayed at the Academy for Young Ladies for four years, leaving in 1839, when the school closed. She remained an observant Catholic for the rest of her life. Ford's Theatre where Abraham Lincoln was assassinated. Lincoln's Funeral Procession down Pennsylvania Ave in Washington D.C.
John Harrison Surratt, the nineteen-year-old son of Mrs. Mary E. Surratt, who was chosen by the Jesuits as the arch conspirator in the assassination of Abraham Lincoln, had studied three years in preparation for the Roman priesthood at the Sulpician Fathers monastery, at Charles County, Maryland, previous to the breaking out of the Civil War. 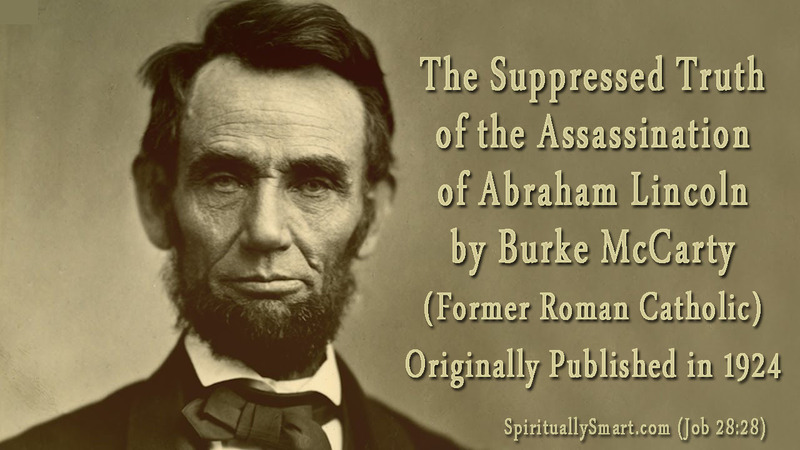 He also Took Refuge in a Catholic monastery after the assassination of President Lincoln. Which was the usual duty of a monastery. To hide criminals from the law under the protection of Rome. His mother hung from the gallows as shown in the picture below. 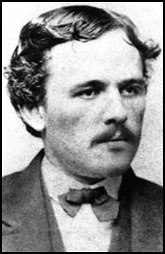 Four Hanged in conspiracy to assassinate Abraham Lincoln. There were more involved. Read about it here. Photograph of Washington, 1862-1865, the assassination of President Lincoln, April-July 1865. Photograph includes woman. Washington, D.C. The four condemned conspirators, Mrs. Surratt, Payne, Herold, Atzerodt, with officers and others on the scaffold, guards. Mary Surratt posing with Her Catholic Missal. Her "pastor" was the president of Gonzaga College High School wash dc. Rev Bernardin Wiget SJ. Born in the 1820s, Surratt converted to Catholicism at a young age and remained a practicing Catholic for the rest of her life. LEWIS THORTON POWELL Aliases, "Payne", "Wood", "Hall". Payne, alias Wood, alias Hall. And yet had another name, LEWIS THORTON POWELL Arrested (Later Hanged) as an associate of Booth in the conspiracy / Alexander Gardner. "IF THE AMERICAN PEOPLE COULD LEARN WHAT I KNOW OF THE FIERCE HATRED OF THE PRIESTS OF ROME AGAINST OUR INSTITUTIONS, OUR SCHOOLS, OUR MOST SACRED RIGHTS, AND OUR SO DEARLY BOUGHT LIBERTIES, THEY WOULD DRIVE THEM OUT AS TRAITORS!" ~ABRAHAM LINCOLN 1864. More Photographs of Washington, 1862-1865, the assassination of President Lincoln, April-July 1865. Photograph includes woman. Washington, D.C. The four condemned conspirators, Mrs. Surratt, Payne, Herold, Atzerodt, with officers and others on the scaffold, guards. Washington Navy Yard, D.C. Michael O'Laughlin, a conspirator, manacled. Washington, D.C. Signal Corps officers lowering flag at their camp near Georgetown; Gen Albert J. Myer, in civilian dress, at right of pole. (Close up of the men to the right.) What is that man doing with his hand? Washington, District of Columbia. Group of Signal Corps officers in camp near Georgetown. April-July 1865. Left to right: Capt. R.A. Watts, Lt. Col. George W. Frederick, Lt. Col. William H.H. McCall, Lt. D.H. Geissinger, Gen. Hartranft, Asst. Surg. George L. Porter, Col. L.A. Dodd, Capt. Christian Rath. Lisbon's Jesuit prisoners after they were expelled out of Portugal. McGuire, Father (Jesuit), of Georgetown University in 1866.